Funny, you and I are so in sync. I recently did a YT video in which I warned about the metal cuticle pusher. LOL! I never get really perfect results, but I just drown my cuticles in Blue Cross for several minutes, and then go at them with a q-tip (I think that's what they're called?). And then brushing lightly with a tooth brush when I wash the left overs off. Those metal thingies always scared me, and now I see that was actually a good thing! Great post, thank you for it. I was planning to buy a metal cuticle pusher, but after reading this I know better. I'm sorry you had to go through this, but am also thankful that you shared your experience. You are too funny! Sorry about the nail injury! I hate those little white spots that seem to take FOREVER to grow out! 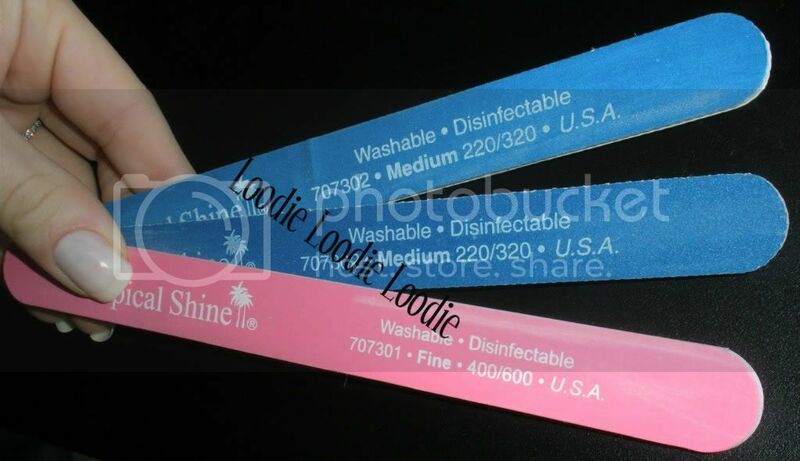 I always use wooden sticks for getting rid of the dead skin, it works wonders! 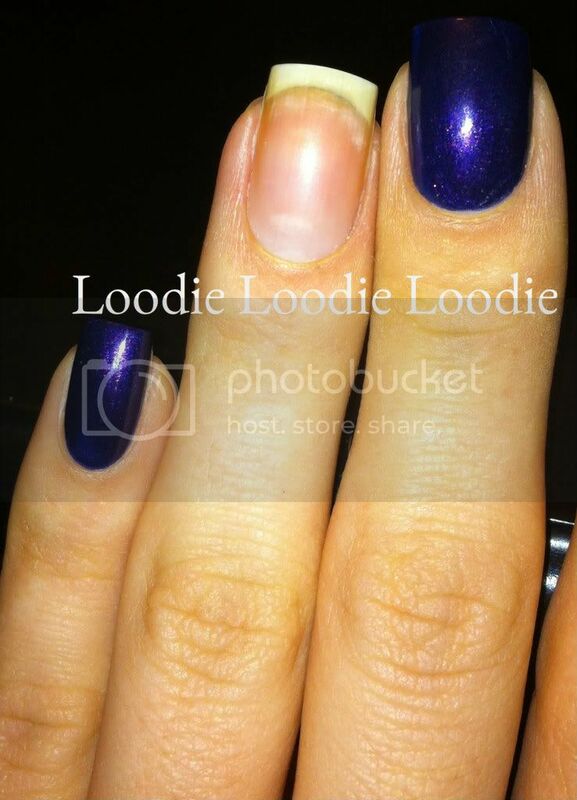 Lucky you didn't damage your nail too bad :). Eeek!! I use ether the wood stick, or I use the plastic/rubbery ones from Sally's. I love my Sally's one.....but I lose it too often! You should be a teacher. These types of posts are so much more effective than what I learned in beauty school. My nails and cuticles are so much healthier since I started reading your blog. Thank you!! Ps- metal scrapers are the worst! I figured that out in school because that's all we used. 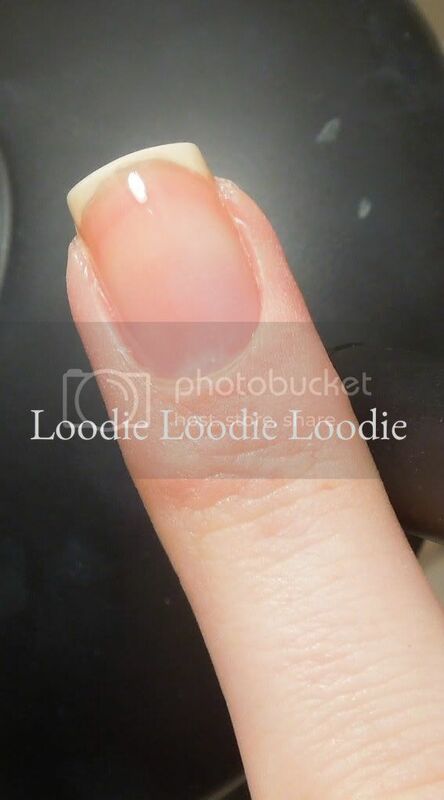 How do you get such a perfect smooth rounded edge of polish around the cuticle? That's the part of painting I haven't mastered. Teach me, please. So THAT'S how it happened! I HAAAATE those metal things, that whole nail layer scraping thing has happened to me every time I use one... those metal bastards. That same thing happened to me when I used a non-acetone remover and a cotton ball to remove polish. I swiched to a polish remover for sensetive nails. I use chemicals (a Swedish brand cuticle remover) to remove my true cuticle... and sometimes the pointy end of my glass nail file... SHHHH!!! I end up doing that to myself using the finger nail of the other hand, yikes! And, I pulled... couldn't help it. I hope it doesn't happen again but if it does, I'll be buffing it! I'm with you on the dangers of the metal implements. What seems to work best for me is just using my own nails to gently scrape across the surface of each nail. Nail on nail, seems pretty gentle, and I think it avoids the risk of damage. My thumb nails seem to be best for this job, left thumb to scrape across the fingers on the right hand, right thumb to scrape across the nails on the left hand. I put the chemical remover on, massage it with a q-tip, then rinse my hands, and scrape (gently) with my own nail, over the surface of the nail while my hands/nails are still damp. I have to be careful not to use the chemical type removers too often, I'm not sure my skin/nails really appreciate them, I do know I've had some irritation from time to time, I'm assuming it's from leaving them on too long. I'm assuming my cuticles are pretty wimpy/low maintenance anyhow, sometimes I can scrape them off (gently) with a fingernail, just after washing my hands, no chemical remover involved. I'm assuming that they're easier to remove when saturated with water. Yup, I stick w/orange sticks. My cuticles aren't so bad, it's the skin around the sides that are my battle. Those metal pushers are the worst. I did the same exact thing to one of my nails and I will never touch one again. I use wooden stick now. I think I'll stick with an orangewood stick, so long as I remember that I don't need to press down I should be ok. I tried using a q-tip but it doesn't seem to remove anything for me and I end up irritating the live cuticle in the process. I don't know if this will work for anyone else but a couple of times a week when my cuticles are nice and soft from a shower or bath, I use my towel to push them back. I just lay the now damp towel over each nail and push with the thumb of my other hand. It works a charm for me. 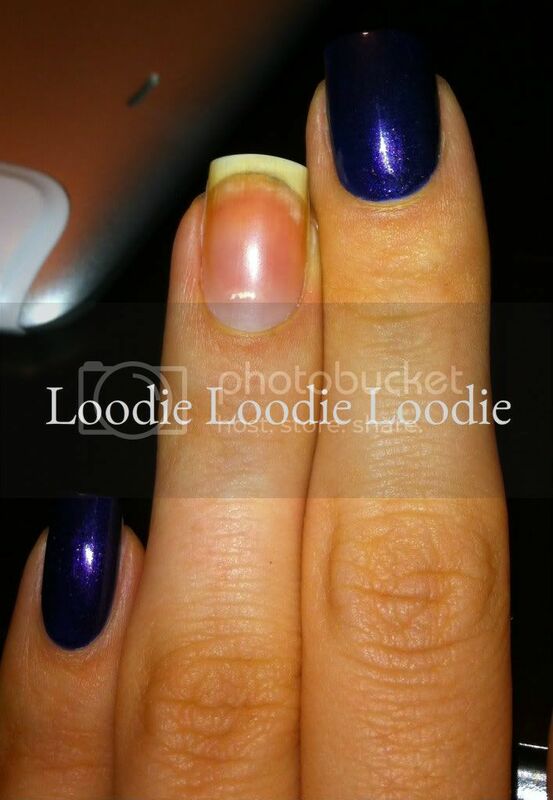 I used to use my own nail, but one time when I got very carried away (back when I didn't do regular maintenance), I pushed, poked and prodded so long that a week or two later I saw a huge DENT emerging from under the edge of my cuticle. It took months for that sucker to grow out and it was deep and noticeable enough that I was asked several times what happened. That's when I started using the towel or a microfiber wash cloth. Your attention to detail is extraordinary. Just got an OPI metal tool, going to bin it! Thank you so much for sharing this info. Yes, you did scrape a little bit of nail keratin. That was from pushing down too hard. The way you handled it was perfect. But the metal tool had nothing to do with the white spot that you noticed a week later. These types of white spots are bruises from an injury that happened while the nail was forming in the matrix. According to Doug Schoon, author of Nail Structure and Product Chemistry, states, "white spots found in the cuticle area are from one-month-old injuries, since that is about how long it takes the spot to grow past the eponychium." It's physically not possible for your event to show up as a matrix bruise a week later. A common cause of these types of matrix bruises is when we're trying to open or force something, our hand slips and hits against something like a counter. It hurts momentarily, we move on, and forget about it. I am well aware white spots are caused by prior matrix damage (and they tend to reveal themselves more when the nail is dehydrated). I maintain I am not wrong with this post or the fact that care should be taken with hard metal implements. 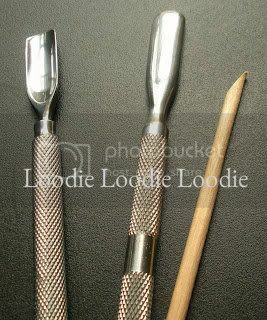 Metal implements are not all created equal. Some are in fact more sharp than others. Aside from that, it is very easy to jab oneself, not just the surface but the cuticle, which in turn may damage the matrix. I didn't just scrap a little bit of the nail surface. You have to realize the event in its entirety. When I was scraping the cuticle my hand slipped and jabbed my cuticle thus injuring the top of the matrix area AND scrapping the nail surface. This event is all too common when using hard sharp implements. 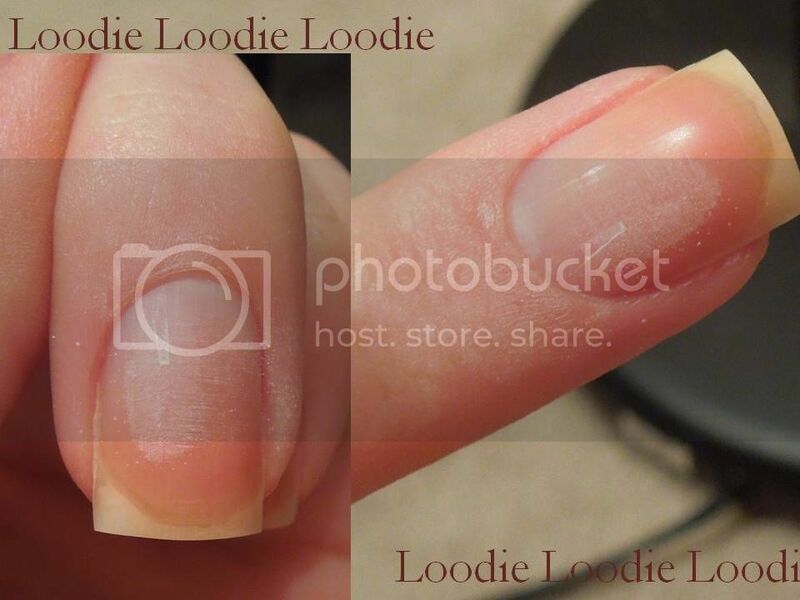 I have been taking care of my nails for almost 20 years and as experienced as I am, this happens to me often when using these types of implements. 1. 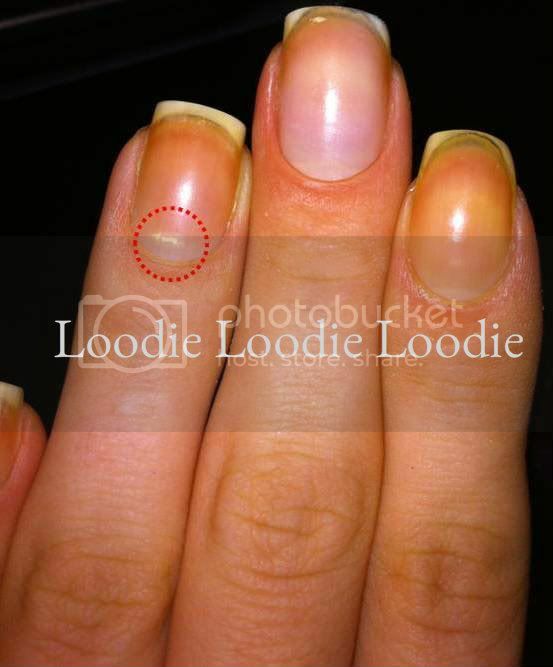 Nail structure is the same on every one, BUT some people's nail beds are more exposed than others, thus their nail bed surface at the cuticle area may be much closer to the matrix, while others have a much thicker cuticle protecting the area between the nail bed surface and start of the nail matrix. 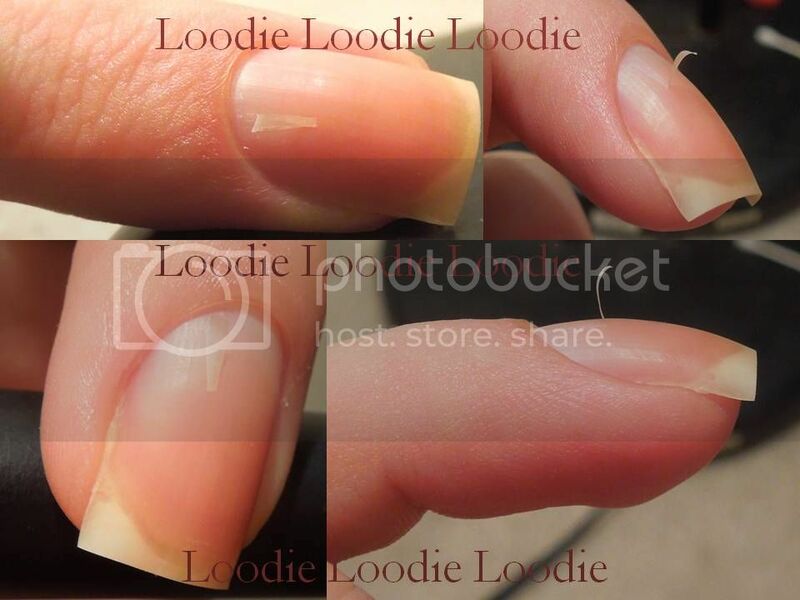 I have been pushing my cuticles back for so long and to such extremes the I have no doubt in my mind that the top matrix is located in very close proximity to where my nail bed surface ends at the cuticle. Thus in my nail situation, a blow to the cuticle is a blow to the matrix. 2. Everyone's nails grow at different rates. My nails grow fast. 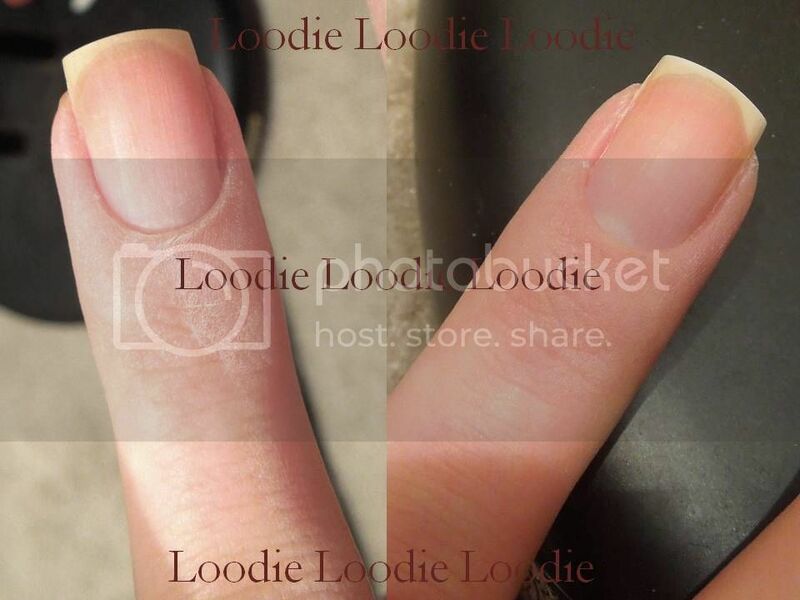 To summarize: If my nail matrix sits very close to my exposed nail surface near the cuticle it would be quite easy to damage the top of the nail matrix with a blow to the cuticle area. I foresee it is completely possible to view the nail damage one week later since my nails grow fast. My personal experience has repeatedly proven this trauma is possible and not just coincidence. I am not trying to deter anyone from using metal sharp objects; I am just sharing my knowledge and experience considering my specific nail situation. Your experience of course may very well differ, and I am not going to tell you, you are wrong. See my disclosure policy at the end of this blog page, but I do not claim to be an expert of any kind. This is my personal blog. It may be a guide for some, but it is definitely not intended to be a definitive source of any kind. To be frank, there is no such thing because in the end we are all different and thus have different nail situations.